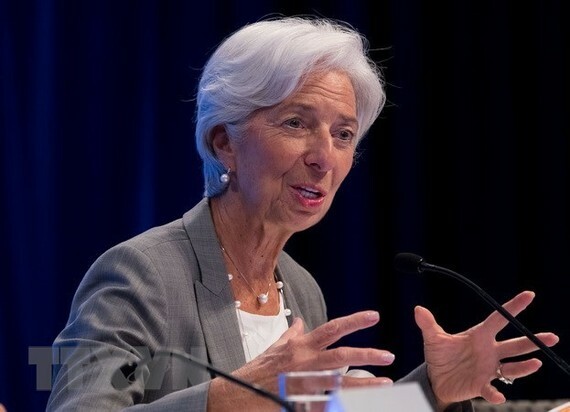 International Monetary Fund (IMF) Managing Director Christine Lagarde has praised Indonesia’s strong economy with good prospects in the years to come, according to Antara news agency. She made the statement after a meeting with Indonesian President Joko Widodo on February 26 to discuss current economic development, Indonesia’s prospect and preparations for the annual IMF-World Bank meeting in Bali in October. At the meeting, Lagarde praised President Joko Widodo and his cabinet for their economic management and policies. "We have also discussed the importance of achieving high economic growth to create jobs and support working generation that keeps growing," she said. She added to meet the goal, revenues must be used to support development spending and continue reform of products, manpower and financial market.